I had a 6/1 winner with a £5 win bet. It was a dead heat. The bookmaker paid me out on half my stake(£2.50 win)so I got £15, this I understand - but why didn't I get my whole £5 stake back. They only paid me £2.50 back of my £5. stake. Why did the bookmaker keep my other £2.50. 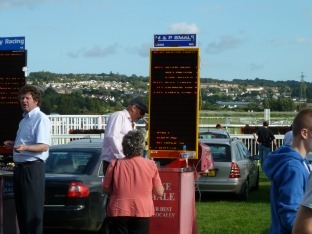 Answer: In a dead heat your stake is divided by 2 and your winnings are calculated as if you had placed a £2.50 win bet. The other half of your stake is considered a losing bet so you lose the other £2.50.